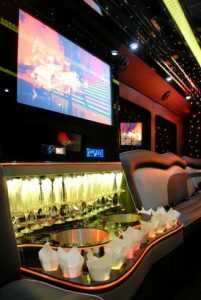 Our Limo Party Buses provide the customer with all the luxurious elegance of a traditional limousine, with additional space and amenities. 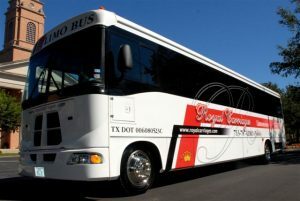 The Limo Bus seats up to 35 passengers, and has a spacious wide body with ample headroom for mingling with other passengers. 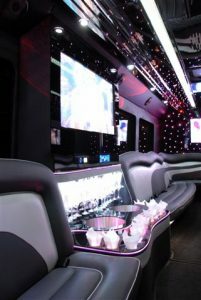 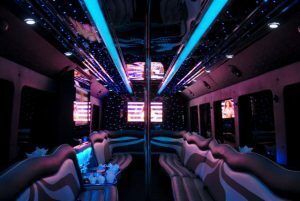 The Limo Bus is fully equipped with an executive work area, LED Tvs with DVD players, Bluetooth stereo system with CD player, leather interior, and a complimentary bar setup of bottled waters and ice.